The Devils come out on top at VWFL Presentation Night. 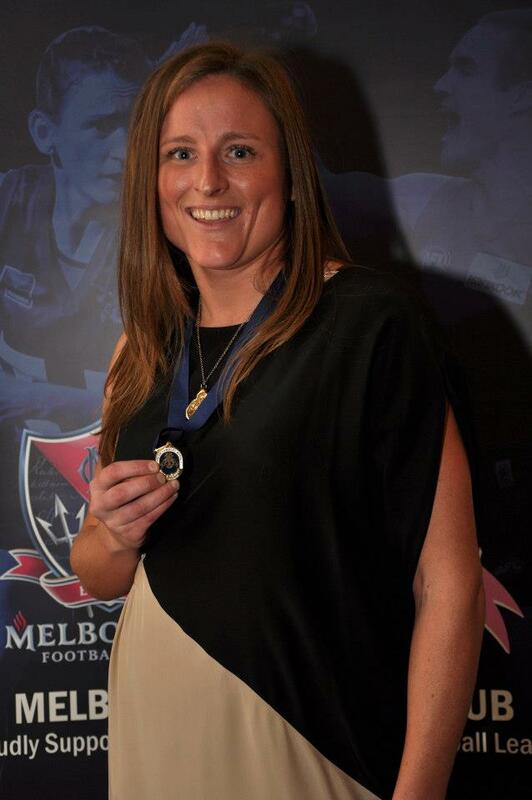 Lou “Wotto” Wotton has won her second Helen Lambert Medal after being named the Premier Division Best & Fairest player at last nights VWFL Presentation. Wotto was named joint winner in 2010 but this year she was alone at the top of the table at the completion of the vote count. Volunteer extraordinaire Sam Larkins was also rewarded for her tireless efforts winning the Ann Rulton Award for the VWFL volunteer of the year and Kathy “Macca” McBride topped the night off by winning the raffle and scoring herself two tickets to the Melbourne Football Club Best & Fairest.